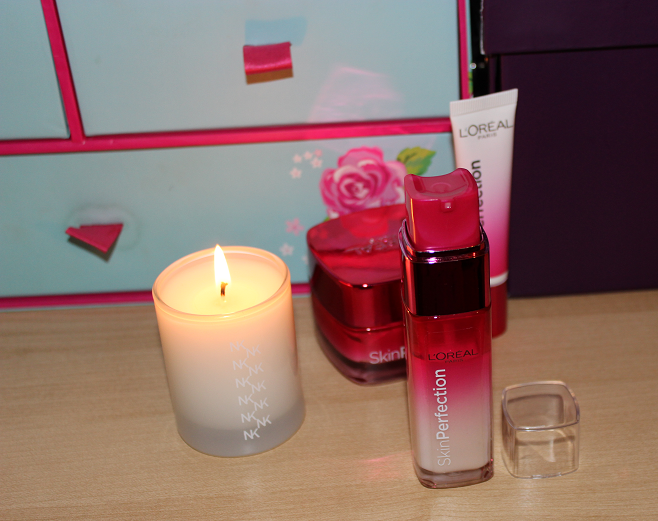 A few months ago, a new skincare range called 'Skin Perfection' by L'Oreal Paris was released. With promises to pixel perfect your skin and the beautiful Cheryl Cole on the adverts, my interested was sparked. I'm normally a bit of a snob when it comes to skincare so I don't tend to look at drugstore brands but I've been really impressed by the L'Oreal Paris Micellar Water, preferring it to the more expensive, raved about Bioderma version. When I started seeing this new range on the shelves in Boots, I was immediately drawn to the metallic pink packaging and began sampling the products. On first impressions I really liked the look of the BB cream because of its silky smooth texture and good colour match for my skin. The eye cream and serum also looked fab. After multiple trips to Boots swatching these products I walked away with the Awakening + Correcting Eye Cream (£12.99 Boots). The whole Skin Perfection range is designed for women in their 20s up to mid 30s where ageing isn't usually the issue but imperfections are. The products contain a new complex called 'PERLINE-P' which is used to perfect skin quality by improving pores, texture and tone. The Awakening + Correcting Eye Cream has a tinted formula that contains Caffeine and Vitamin Cg to help conceal dark circles, reduce eye bags and smooth fine lines. I have really bad dark circles but I don't really have eye bags or wrinkles. I've bought so many eye creams in the past I wasn't expecting this to correct my dark circles either but I really liked the texture of it. It leaves a really smooth, hydrated feeling to the eye area that is long lasting and creates a great base for my concealer. As expected, this product hasn't helped with dark circles but I really like this product as I often spend over £20 on an eye cream and this is such a great formula for half the price. It's good that it comes in a tube rather than a pot as you can keep the contents clean and germ free. I don't really notice the tinted effect as it's really light and my dark circles are bad. 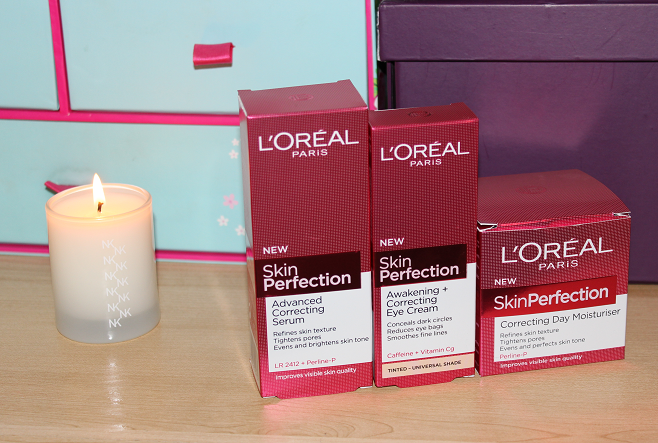 A few weeks after my eye cream purchase, a wonderful pink package came through the post containing the Correcting Day Moisturiser* and the Advanced Correcting Serum* so I was very chuffed to see these since I had really wanted more items from the range. Now that I've been using these products for around 6 weeks, I thought it was a good chance to talk about them. You'll notice that my photos show the used products as I was desperate to use them before I got the chance to photograph them! Starting with the Advanced Correcting Serum (£16.99 Boots) which I apply after cleansing and toning my face in the morning. It comes in a 30ml glass bottle with a pump for easy dispensing. I'd describe the texture of the product as a milky lotion that turns transparent when massaging into the skin. It feels very light on the skin and doesn't leave a greasy finish but it adds a good dose of hydration along with a silky smooth finish to the skin. 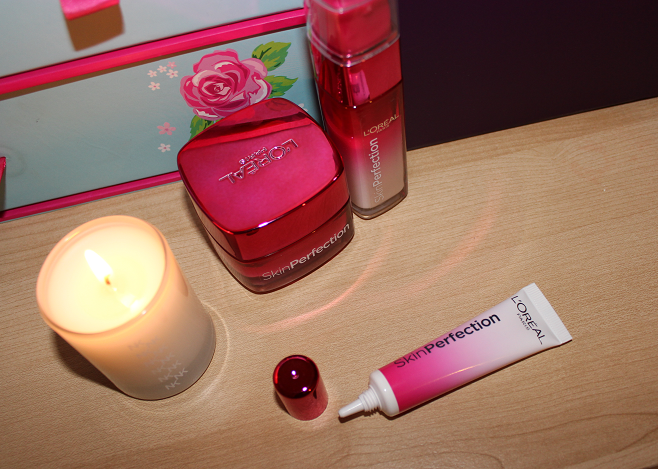 I then apply the Correcting Day Moisturiser (£14.99 Boots) on top of the serum. This comes in a sturdy thick glass jar and the consistency feels quite thick to the touch but it's a gel cream formula that feels cooling on application. Despite the thickness of the product, on massaging into the skin it quickly sinks in leaving a deeply moisturised feeling to the skin that doesn't feel wet/greasy. It's such an amazing texture, I love the way my skin just drinks it up so fast leaving a gorgeous, velvet feeling. Just for the formulation of these products alone, my Origins regime was instantly discarded! The main skin benefits of these two products are refined skin texture, tightened pores and an even, perfected skin tone. I've already mentioned the texture when describing these products and that is a feeling that lasts all day. 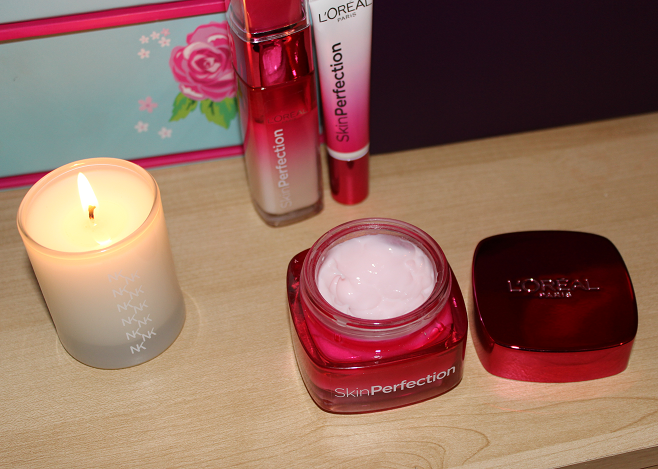 These have been doing wonders for my dehydrated skin, even as the weather has gotten colder in the UK. I have fairly large pores on my forehead and across the tops of my cheeks and I really have noticed a difference in the size of them whilst using these products. I have two particularly large pores that always look smaller after applying these products and most of the other ones seem to have reduced in size. I think this benefit is something that is quite short term, like I have to keep applying these products every day to keep my skin this way otherwise the pores will start to look larger again. This is fine though because I absolutely love using these. Finally with regards to the even, perfected skin tone, I have quite a few spot scars on my chin and usually get a few new spots there once a month. I also tend to have other areas of redness showing through my super pale skin around my nose. I'd say I've definitely noticed an improvement in my skin tone as it looks clearer and my scars are starting to fade too. Another great thing about these products is that they haven't caused any breakouts either and I think the number of new spots has been fewer than usual so I'm definitely seeing fab results with using these products. 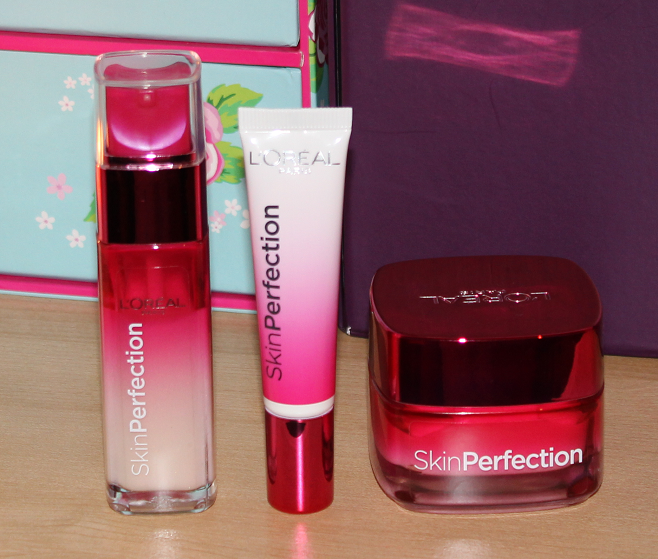 I'm not saying my skin is now 'pixel perfect' but it's certainly better than before I used these products so I'm happy to continue using them and I'm so grateful that I received them to try out. I would 100% recommend all of these products and I'm interested in trying more from the range. What skincare have you been loving recently? I'd love to try the serum, may ask for it as a little christmas prezzie!